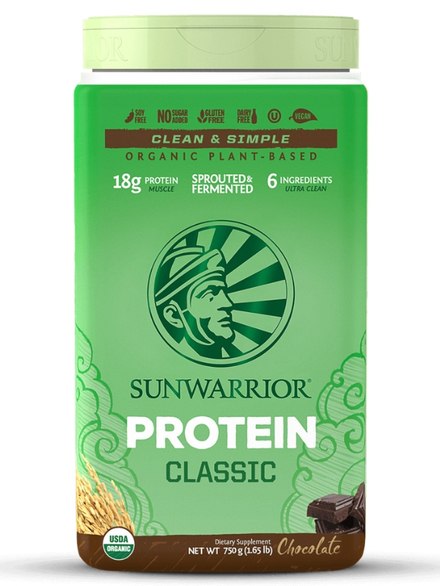 Protein Powder - Chocolate Flavour 1kg (Sunwarrior) - HealthySupplies.co.uk. Buy Online. Organic pea protein, organic hemp protein, organic whole ground coconut, organic goji berry, organic alkalized cocoa powder, organic chocolate flavour blend, organic guar gum, sea salt, organic stevia extract (steviol glycosides).